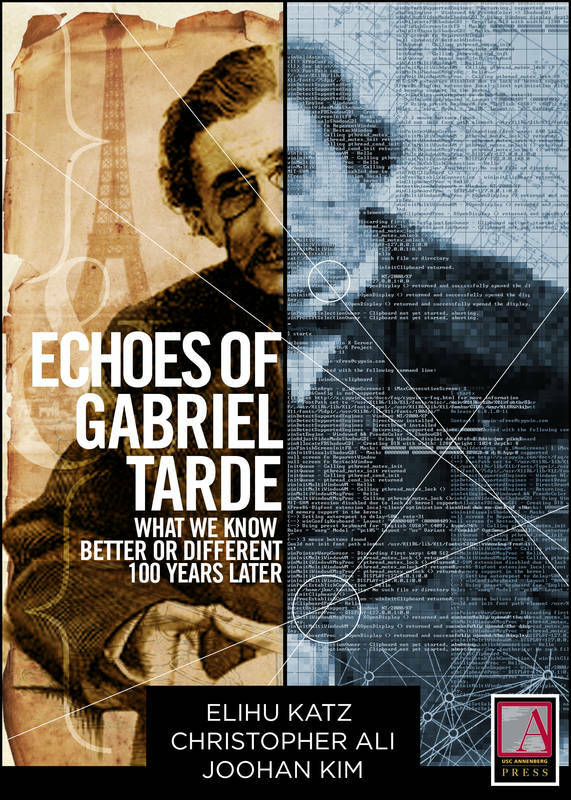 Echoes of Gabriel Tarde: What We Know Better or Different 100 Years Later by Elihu Katz, Christopher Ali and Joohan Kim is based on Gabriel Tarde’s essay of 1898 “L’ Opinion et la Conversation” analyzing the applicability of Tarde’s theories of communication some 100 years later. Katz, Ali and Kim review current academic thought regarding the interaction of media, conversation, opinion, and action in public space and deliberative democracy. Exploring these themes in a hyper-text “dialogue” with Tarde, the authors ask what we know better or different 100 years later. The e-book’s format makes it possible to access the essay as a series of hyperlinked propositions — foreshadowing contemporary concerns with issues such as agenda setting, public opinion formation, the diffusion of innovation, the two-step flow of communication, the role of the press in nation-building, new media technologies, the normative role of media in a democracy, media events, and the like. The e-book includes the first full English translation of Tarde’s essay. Long overlooked, “Opinion and Conversation” deserves to be canonized as foundational for theories that link mass and interpersonal communication, especially in the age of social media.